Are you ready for this post!? I don’t think you are. Because I’m not. 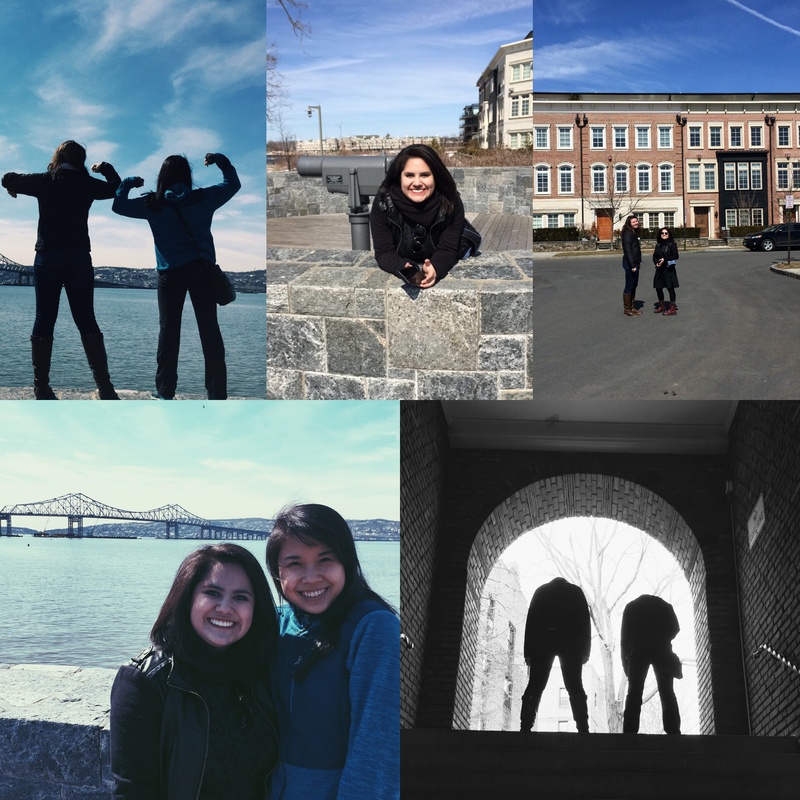 To put everything into context, I am back in Boston after a week of touring NYC with my friend Rachel for our spring break. I shared our Tuesday adventures with you all last week, but that was just the very beginning. More food, more fun, more freakiness awaited us. To sum it all up without boring you to death, here are some weird facts about our experiences last week! 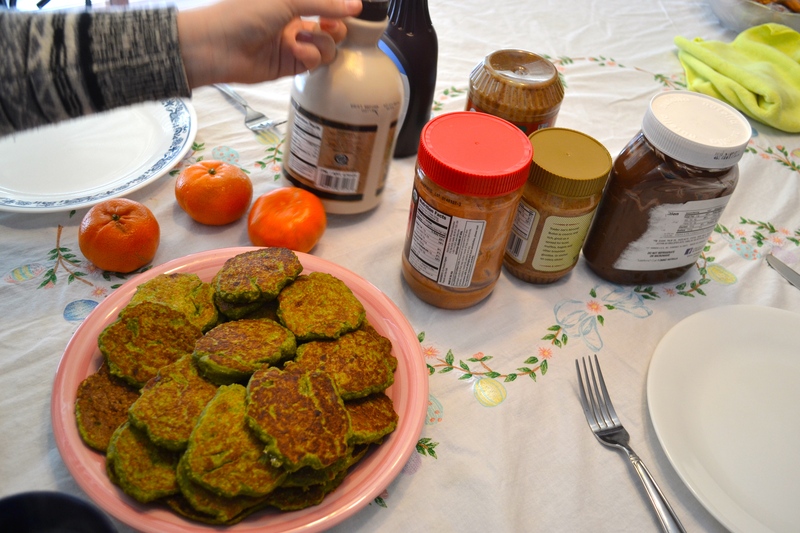 Fact #1: I basically forced vegetables down Rachel’s throat by hiding greens in all our breakfast foods. Such a mom move. 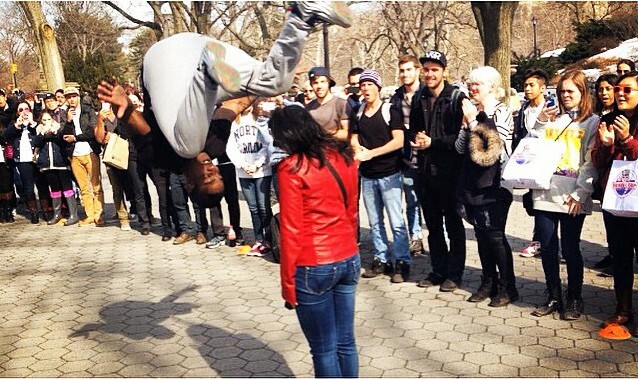 Fact #2: We were spontaneously part of a street show in Central Park, and someone jumped over my head. 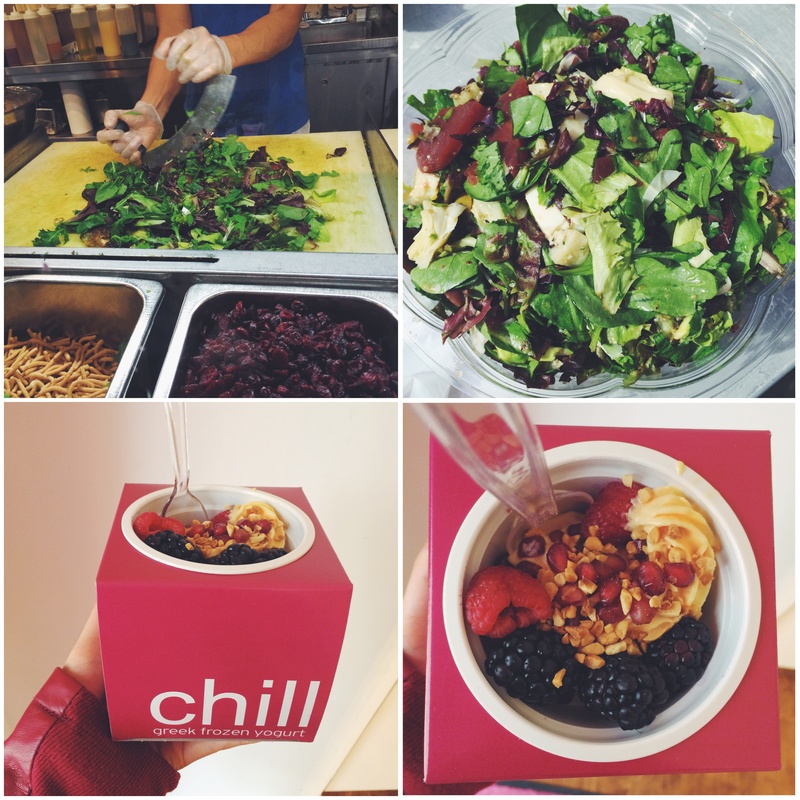 Fact #3: We came across some trendy, delicious places to eat in NYC, and I pretended that frozen yogurt was a healthy afternoon snack. 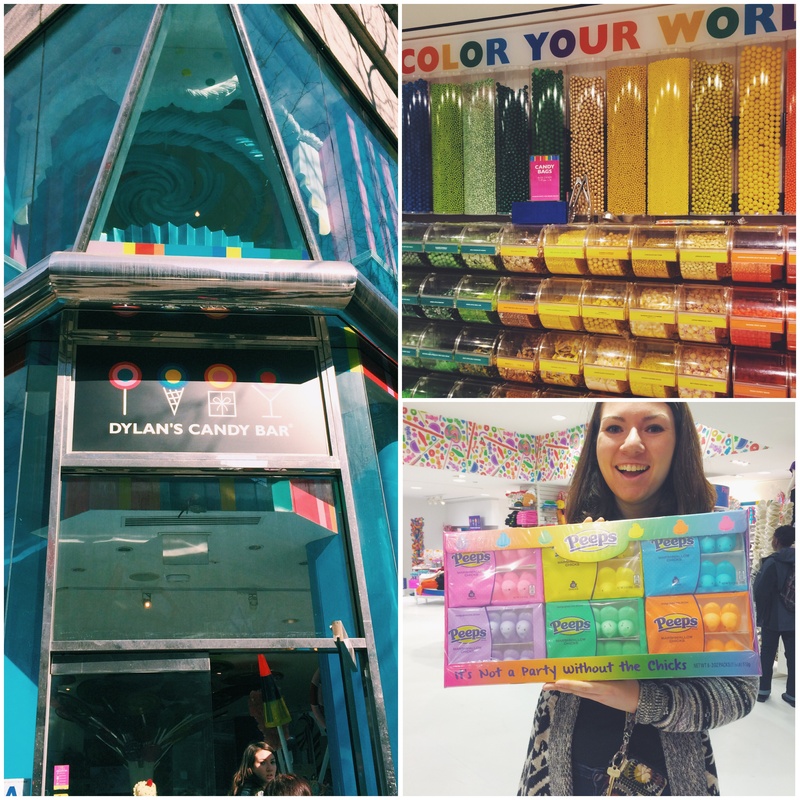 Fact #4: Rachel and I regressed to become 5-year-olds at Dylan’s Candy Bar. Candy is so nostalgic. Fact #5: It was warm enough for us to be a little sweaty while walking around in NYC. HOORAY FOR SWEAT! That means spring weather! The Groupon came with four desserts, ok? 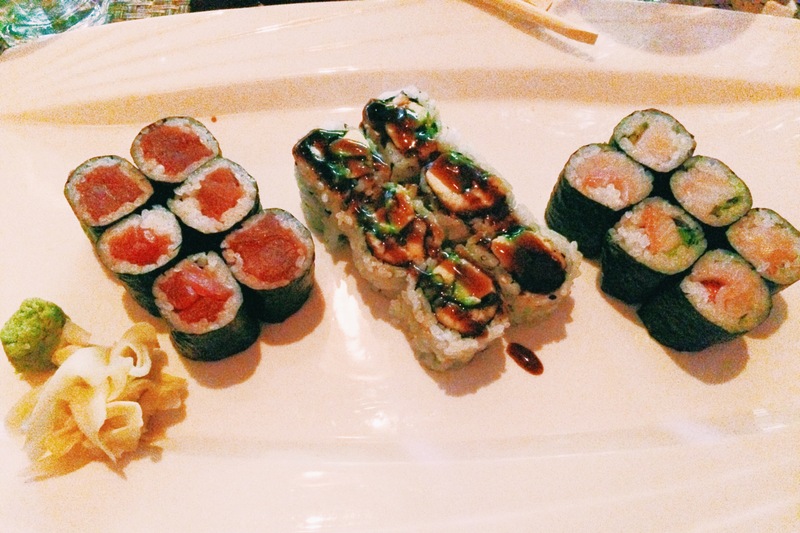 And then the next night we went to Ichiro, aka my favorite Japanese restaurant ever. Fact #7: Rachel and I dedicated a whole day to studying. I know, what nerds. 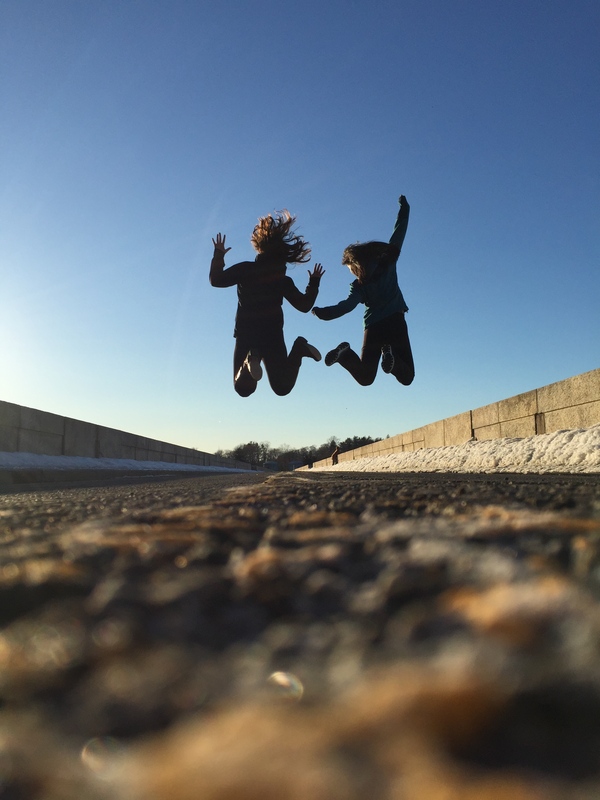 Fact #8: We took a casual study break and met a stranger who also happens to be an awesome iPhone photographer (follow him on Instagram here!). Fact #9: We could have slid on our butts down this staircase of death if we wanted to weren’t careful. Fact #10: We ended our study day with the sushi dinner above, Cold Stone, and more nostalgia as we watched the movie Ice Princess. I almost gagged at how bad the acting is in that movie, but I used to love it. Fact #11: Daliza was our tour guide for the day on Friday as she drove us all around our county to show Rachel (and me) the pretty and hip places. 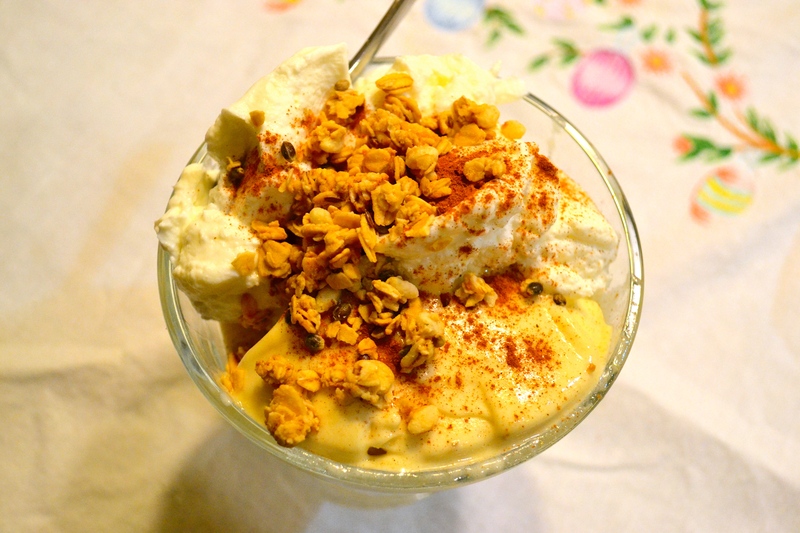 Fact #13: I eat banana soft serve with Greek yogurt. 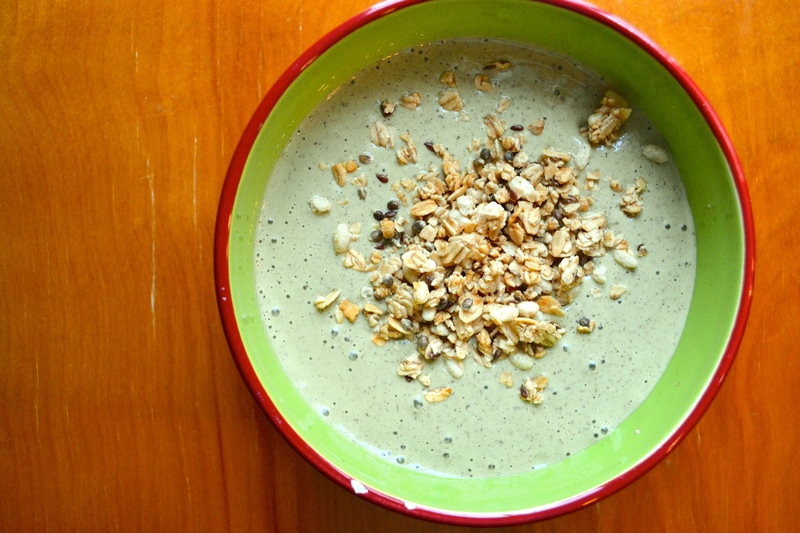 And apparently with cinnamon and granola as well! 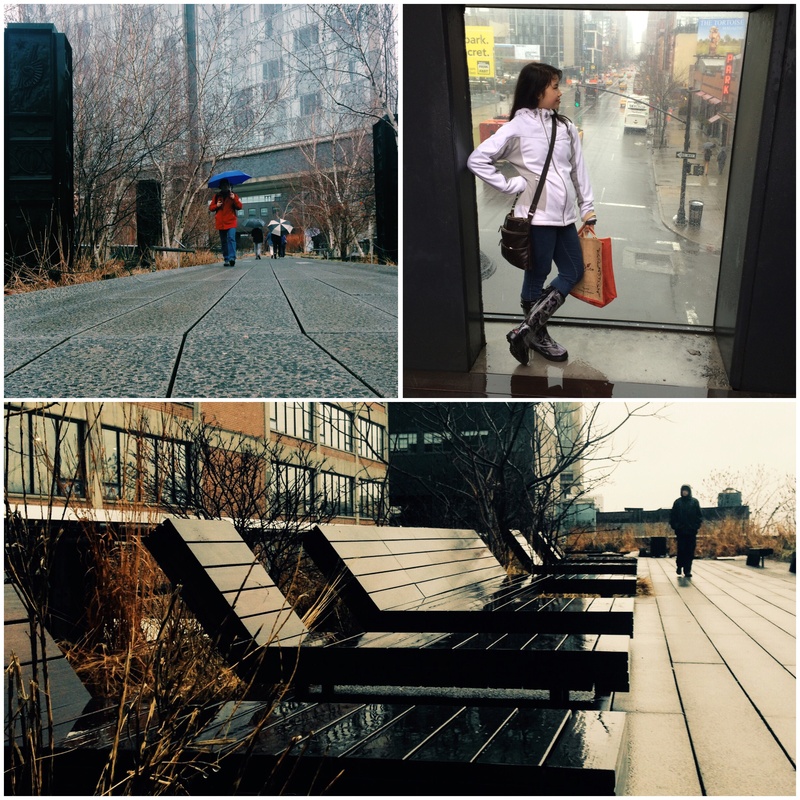 Fact #14: Rachel and I walked outdoors all day on Saturday despite it being rainy. Fact #15: We decided that we could live in Chelsea Market. All the food, all the shops, all the time. Fact #16: Rachel had her first authentic New York bagel ever, and I have never even eaten one myself. Fact #17: But I did have the creamiest, richest “Two Cookies and Cream” ice cream from Ronnybrook in Chelsea Market with both Oreos and Biscoff cookies. Wowza. 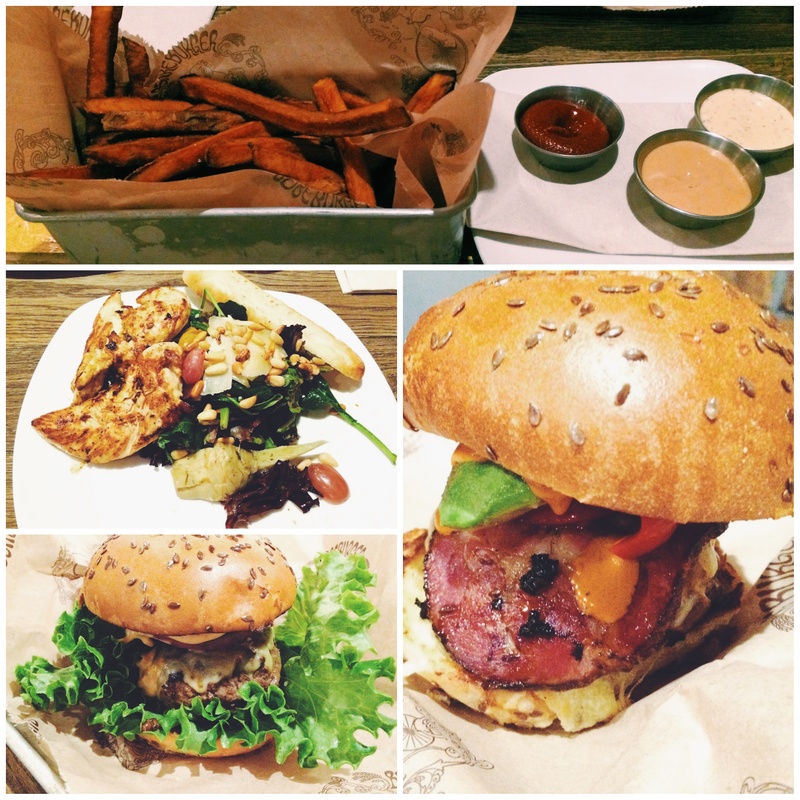 Fact #18: I had a salad at Bareburger. Not because I was opposed to a burger by any means but because I really wanted artichokes. REALLY WANTED THEM. 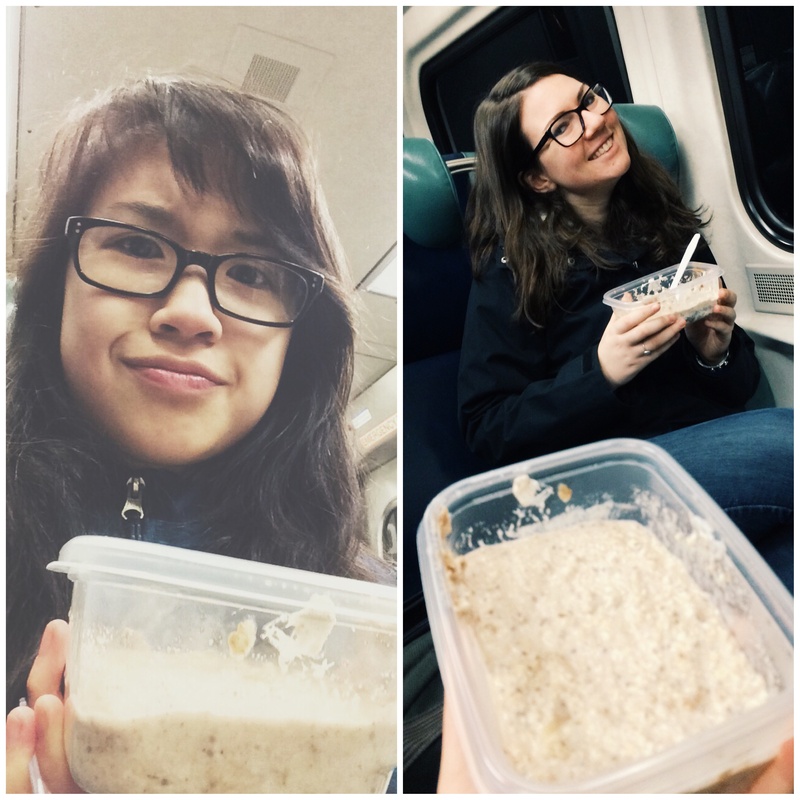 Fact #19: Overnight oats are so clutch when you have a 5AM train to catch. 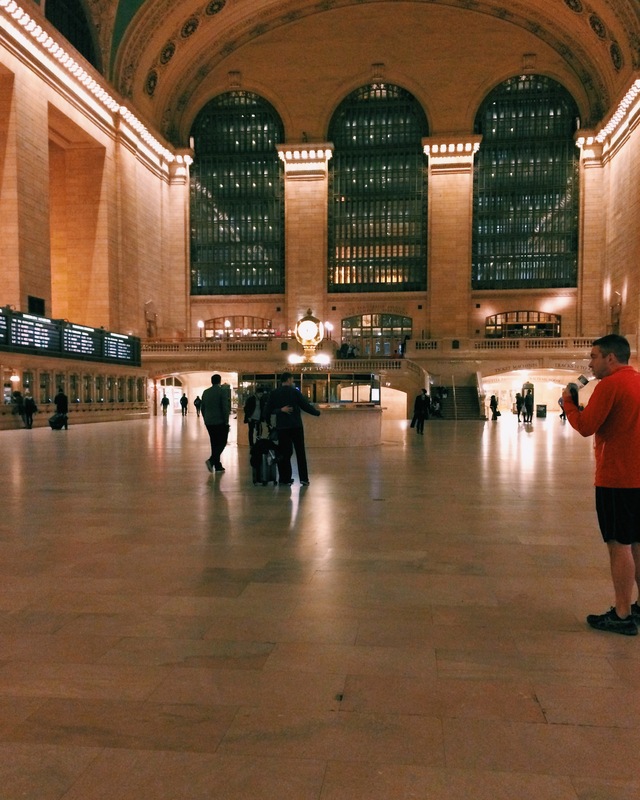 Fact #20: I saw Grand Central the emptiest I’ve ever seen it. Fact #22: My wallet is crying, but the adventures were worth it. Fact #23: We didn’t eat a lot or anything. Ha. 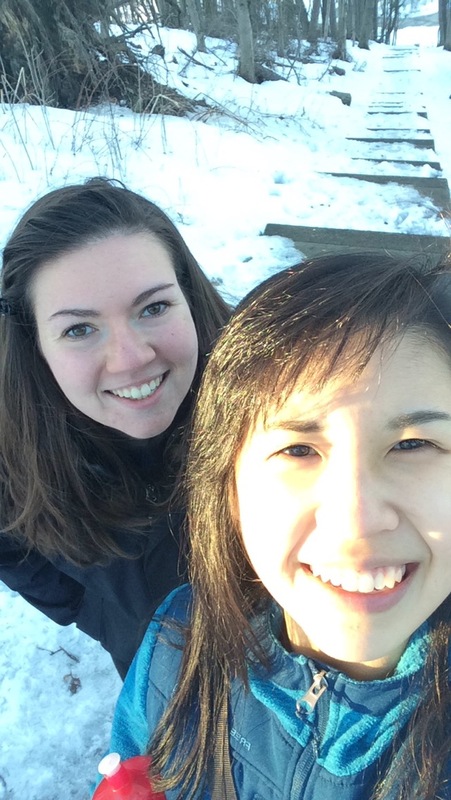 Fact #24: Rachel and I walked a total of 35 miles, give or take, last week. Fact #25: Rachel receives credit for a lot of the photos in this post! Fact #26: This year, Boston has officially broken the city’s snowfall record with 108.5 inches of snow this winter! Now it all needs to go away. Happy Monday, everyone! It pains me to say that I probably will not be posting very much this week. Schoolwork post-spring break is calling. Hope you all have a wonderful week though! Three weird facts about your last week! Have you ever eaten a NY bagel? 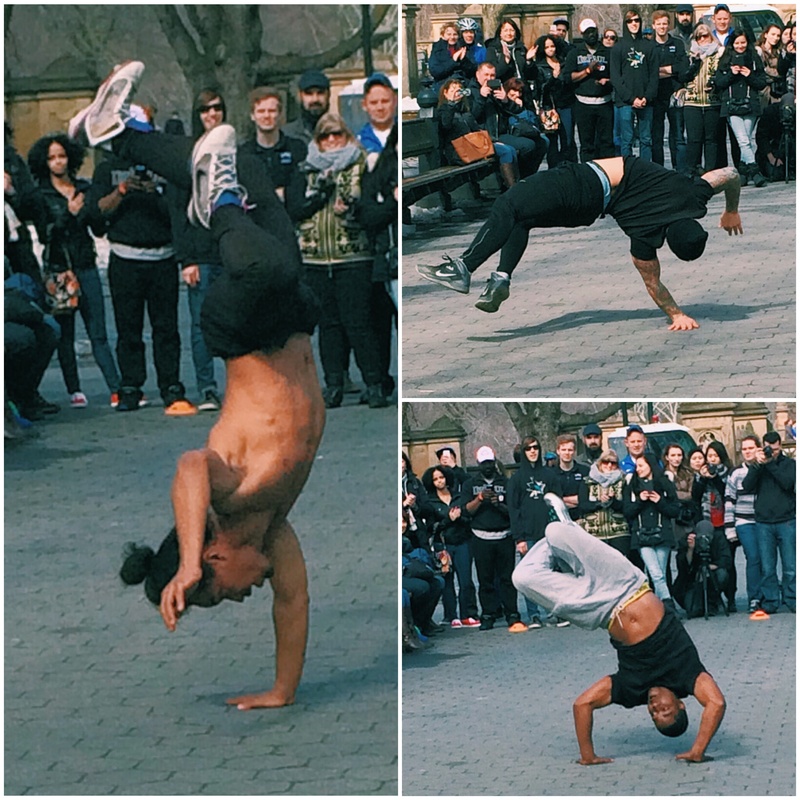 Have you ever watched or been pulled into a street show? This entry was posted in Fitness, Food, Life and tagged bagel, balance, banana soft serve, bareburger, boston university, breakfast, central park, chelsea market, cold stone, college, dessert, dylan's candy shop, eats, ED recovery, family, food, friends, frozen yogurt, grand central, healthy, hidden greens, high line, ice cream, moderation, New York City, nostalgia, nut butter, nyc, pancakes, random, Salad, sleepy hollow, smoothie, spring break, street show, studying, sushi, the big apple, vacation, walking, weird facts. Bookmark the permalink. Hooray for #3! And Bible study outside sounds so glorious. I hope my Bible study group can do the same sometime soon too! Um. Chelsea market looks like my kind of place. And alllll your food looks like my kind of food 😉 So glad you had such a fun spring break!! I definitely need to try a New York bagel! Your first fact made me laugh out loud. 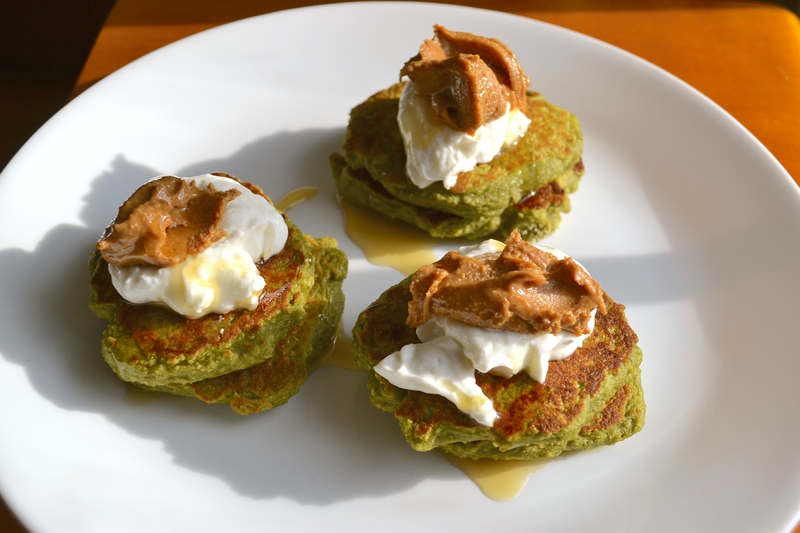 I hardly doubt Rachel minded the extra greens, as all of your recipes look great! Also, in regards to fact #5, you need to head on over to San Diego- you will sweat in 0.4 seconds, I guarantee it. Girl you went to cold stone and got apple pie ice cream? No no no you have to go for the cake batter! My good friend here at BU is from San Diego and he was loving that sunny life this spring break! Aahh love this 😀 .. Last week, hmmm let’s see: 1) a disappointing circumstance was an opening to something freshly challenging. 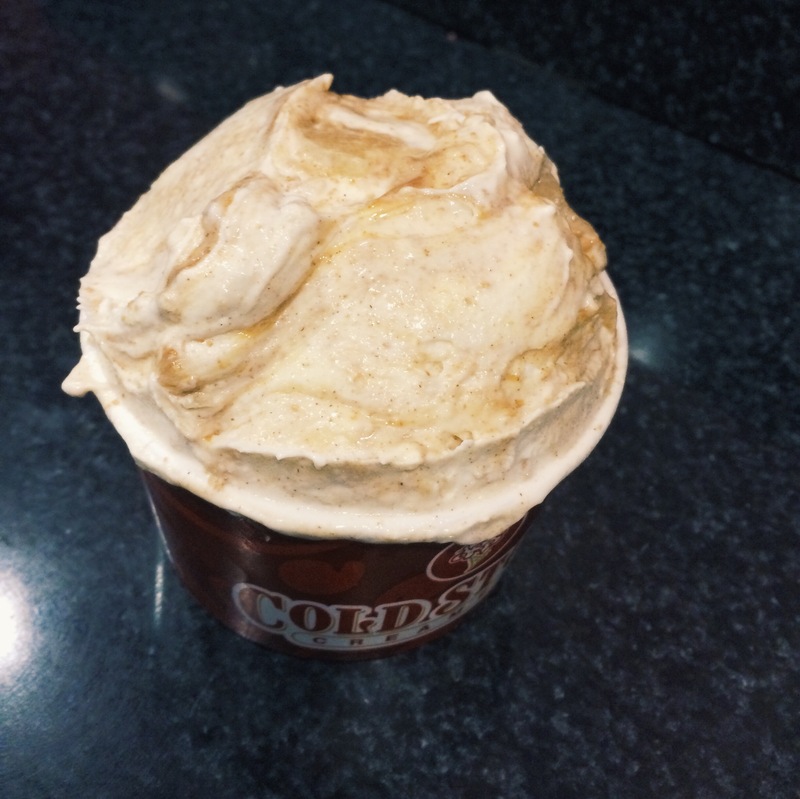 2) frozen mango chunks in warm oatmeal, drenched in almond butter became the new bedtime snack. 3) frolicking on the beach hit the right spot on my soul – after a long period of absence. Love YOU! And ohhh my goodness, your bedtime snack sounds so fantastic. Frozen mango is the best! Girrrrrl im literally making a list of all these things so we can redo them when we meet up ok? If you’re up to it again!!!!!! 👯 😘😘😘😘😘😘 lets make happen when the weather starts getting nice? Absolutely!! Hope you’re having a great day, Katie! Dude, you’ve got me so bloody excited. 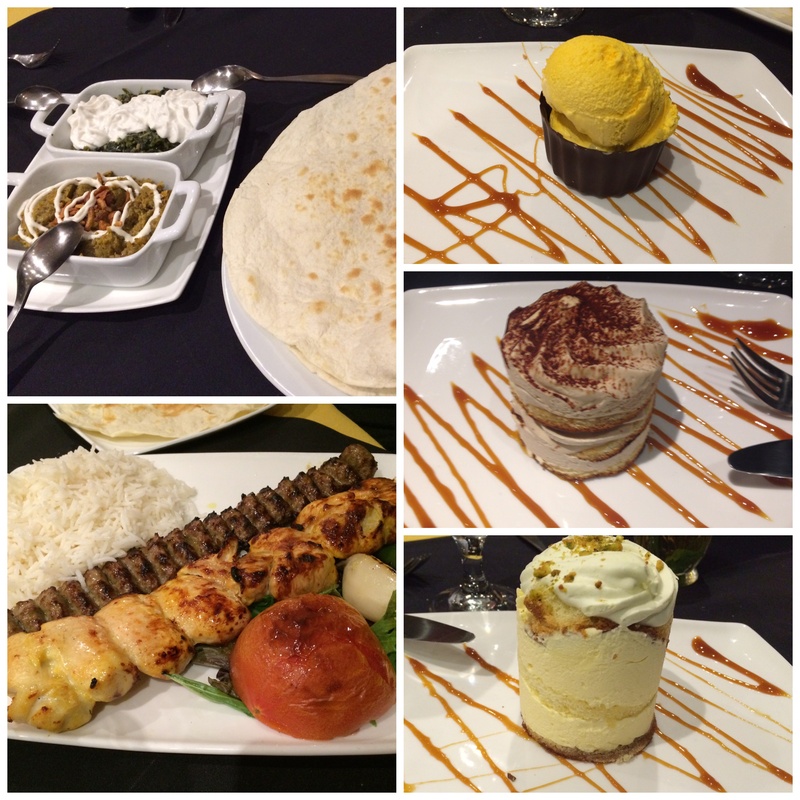 We need to add that Persian restaurant to the list….Actually, I’ll just steal mum’s recipes. 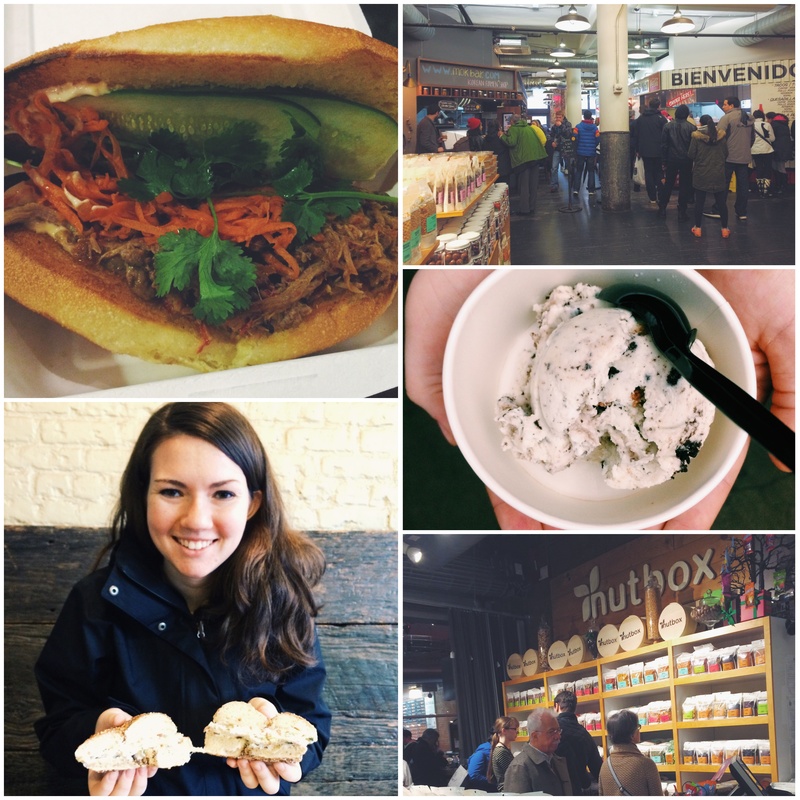 Can we actually live in Chelsea Market? I love the seafood section. Yeah I have sleeping bags— we’ll camp out in Chelsea Market! 😉 And yes, please just bring the Persian restaurant to our home by making your mom’s recipes. NY bagels are simply delicious! I typically just eat whole wheat bagels when I’m craving one; however, an ‘Everything’ bagel + lox is my favorite when visiting the city! Also, I love that photo of you and your friend on the train tracks. Great shot!! NO I’ve never had a NY bagel. But I assure you, it’s on my food bucket list. So let’s switch lives, because I want to be YOU, you mountain goddess. First things first because I apparently missed you introducing it: your new haircut suits you really well! You have the cutest post-writing styles! I’m not huge into numbers – hello, math hater – but bullet-point-style posts are fun to read. 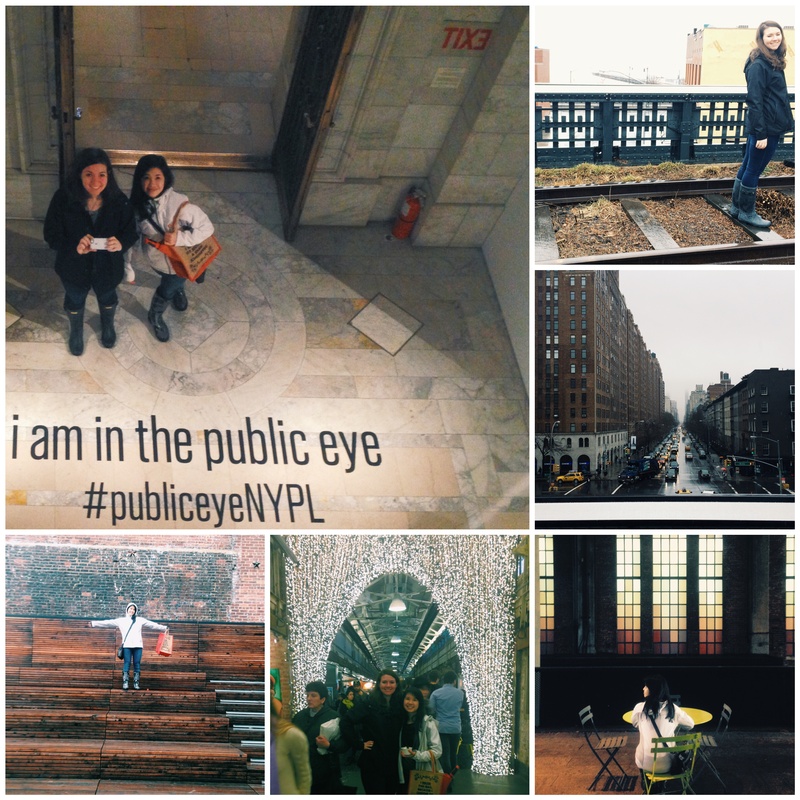 Okay, there’s way too much to comment on – aside from the fact I’m insanely jealous you went to New York!!! – but I’ll keep it short and say that it looks like you really made the most of your trip. And the picture in #8 is totally awesome. Oh, and yes: I may or may not know somebody who’s currently in NY [with a list of things to bring back for me in tow – any ideas of items to add 😉 ?] and I’ll probably pass some of the places you visited along to her as recommendations. Hmm she can bring back a LOT of I ♥ NY memorabilia 😉 Everything else that I would buy in New York is perishable…haha! Haha, I asked for food only (so far). NY memorabilia will be saved for when I make it there myself and can connect actual own memories to it :).